Just got a final proof of a paper I wrote on the TRIP Database. I wrote it in October/November 2005! The paper reports on the recent Centre for EBM review and the planned changes to TRIP. Those changes happened in December 2005. Also by the time the paper is published the site will be free-access (albeit via a beta-test version of the new site). So by the time it’s published the article will be ‘doubly’ out of date. NOTE: I just used the spell check that is part of the blog – guess what it didn’t recognised ‘blogs’ suggesting ‘blocs’…. 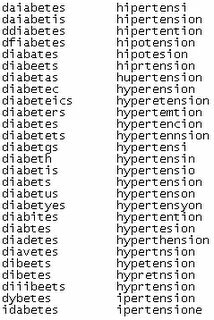 The TRIP Database has an extensive synonym function. However, we still get terms we don’t fully understand. This time it was a question received on the NLH Q&A Service asking about ‘candidal overgrowth’. How do you search for this? We think we got it right with candidiasis – but how do you verify this? The requesting doctor didn’t know. Final specification meeting (sometime next week). Web-people to produce specification document including wireframes. Fingers crossed, the beta test version will be made publicly available at the start of June. Although free accessible the beta will not become official (for contractual reasons) till September 1st. Why not create a TRIP Database toolbar with an embedded search box. What’s interesting is that viagra is contra-indicated in people with retinitis pigmentosa as it may lead to blindess (or that’s the assumption). So what do you do if the person is already blind? When there is little or no evidence to answer the question. From the users perspective they come to us with an uncertainty and sometimes we can’t help. Anecdotally, the lack of evidence can frequently be useful/helpful. However, in a some situations its not as well received – understandably. Not comprehensive enough answer. Although only mentioned twice in the 2000+ questions we’ve answered I guess that might constitute a trend! Our remit is to provide quick responses to the literature. Occasionally we get a GP using us who has already done a good search asking us for information. Unfortunately, they don’t tell us what’s they’ve done so we answer it as normal ie give brief information. Still with less than 2% of people rating us at less than good – we must be doing something right! 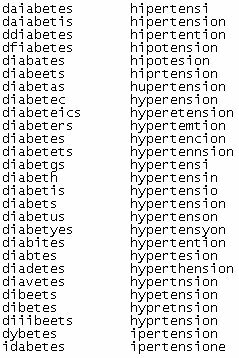 These are confirmed mis-spellings in that people have clicked on the ‘did you mean: prostate’ to confirm spelling correction!